How many marketing campaigns or promotions do you run each year? Some organizations decide to do weekly and others monthly or quarterly. Any way you decide, purchasing keyword or brandable domain names will contribute to your marketing campaign’s success. There are a couple of reasons why you want to consider using keyword or brandable domain names for specialized marketing campaigns. 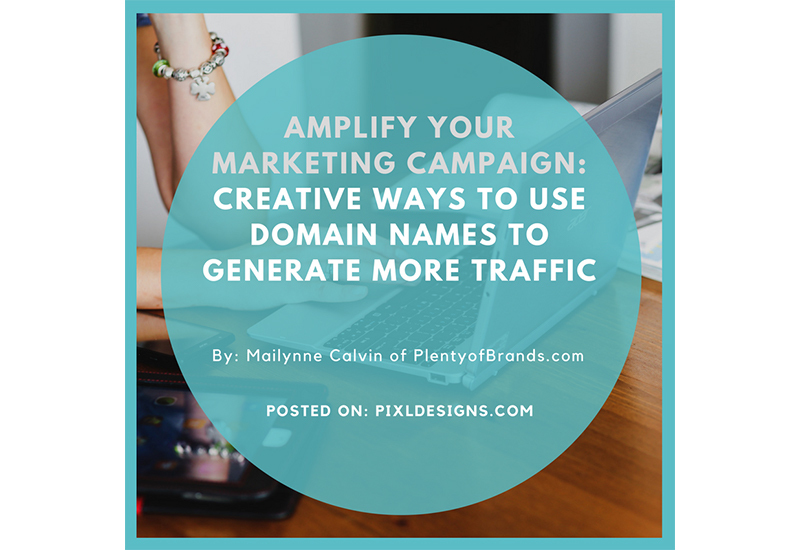 Having one domain name makes it easier for users to visit one site for that specific campaign promotion. Using one domain makes it simple to tie together the online marketing with offline marketing when you promote the campaign. With a good domain name, you can have better design of marketing elements and graphics both online and print. Tracking the overall performance of a campaign can be easier if you have a dedicated domain versus using a subdomain of your website or a short-link. Buying a brandable domain name that is related to your industry and creating a landing page with specific promotional information can have great benefits. First, you have a dedicated place for your marketing campaign’s information to live and direct users and new potential contacts. Second, if you have paid advertising as part of your promotion or campaign, you can send interested users to that landing page. Then you will likely have more success sending users to that landing page and having them fulfill a specific action versus just sending them to your website. For example, let’s say you’re a company that sells razors on a subscription model and you’re running promotional pricing one month. You may buy a name like beardpros.com or shavehero.com. Then you can set up a single-page website and with an ad campaign that links to that website with a sign-up form to purchase, get more information, or sign-up for a free trial offer. Here’s another example of using a dedicated domain name for a specialized marketing campaign. Let’s say you are a church and you have a 60-Day program for tithing that you want to share and call more attention to. A domain name such as 60daychallenge.com is a great domain name to host an online landing page for details about the 60-Day Challenge tithing program. You can display information about the program and also add a sign-up form to that single-page website for members to sign-up for the challenge. For members signing up, you may be able to give away free church gear that is a gift for signing up but also a marketing tool to promote the church. Everyone likes free stuff, and doing giveaways online has been a great way to receive contact information in exchange for the opportunity to win something for free. Doing this on a regular basis can consistently add new contacts to your list of people to market to. Buying a domain name that is your online landing page for all contests and giveaways is a great way to grow your organization. And since you have a dedicated domain name for contests and giveaways, it is easier for users to remember and for your organization to gain traction over time. As an example, you may decide to do a contest or givewaway every month or quarter to continuously receive new contact information and leads into your business. A domain name such as contestsuite.com is a great domain name to host an online landing page for contests. You can add a sign-up form to that single-page website for potential customers to enter their contact information in exchange for a chance to win a product or service related to your business. In closing, setting up specialized marketing campaigns throughout the year can really help boost your online marketing efforts, create awareness, and increase sales. Many people overlook using domain names as part of their online strategy to get new customers. These are just a couple of ways that organizations are successfully using domain names for specialized marketing campaigns. These examples are great places to get started as you consider a domain name strategy for your company and start growing your domain portfolio.